Here is the conclusion to our blog series DUI Car Accident Cases: FAQs. Q – How much is my DUI car accident case worth? Although these FAQs about DUI car accident cases are enlightening, contact Shakeshaft and Gorman Law Firm when you are ready for the best representation for your case. A – We can’t evaluate how much DUI car accident cases may be worth without first knowing the details of a specific case. This is because various factors can differ from case to case, and these can be some of the issues critical to determining the value of a claim. Whether the victim will not be able to work for any time due to his accident-related injuries. If you would like a more specific case evaluation, contact Shakeshaft and Gorman Law Firm. We are ready to review your case and answer all of your questions. Q – How long will it take to get compensation from my DUI car accident case? A – Again, this is a question about DUI car accident cases that we cannot provide a specific answer for without having the details of a particular case. 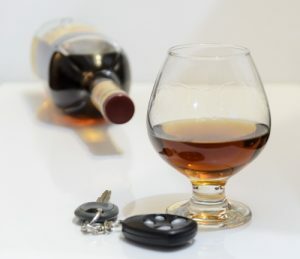 Just as various factors can impact the compensation in DUI car accident cases (as explained above), so too can various issues and elements impact how long it takes to resolve these cases. Whether the negligent driver was a government employee. Q – Do I need to hire an attorney to help me with my DUI car accident case? A – Yes! DUI car accident cases can be complicated, and getting the entire financial recovery you deserve can take the skills and persistence of an experienced attorney. In fact, with a lawyer representing you, you can step back from the legal process and possible disputes and, instead, focus on your recovery, health and future. Have you or a loved one been hurt in a car accident caused by a drunk driver? If so, Colorado Springs Car Accident Attorney Kenneth Shakeshaft is ready to advocate your rights, help you recover financially and ultimately help you put your life back together.